With RosterElf, you can customise your account with as many different positions as you wish. So what are positions and how should you use them? Positions are basically names you give to the different roles in your business that vary based on skills and responsibility. 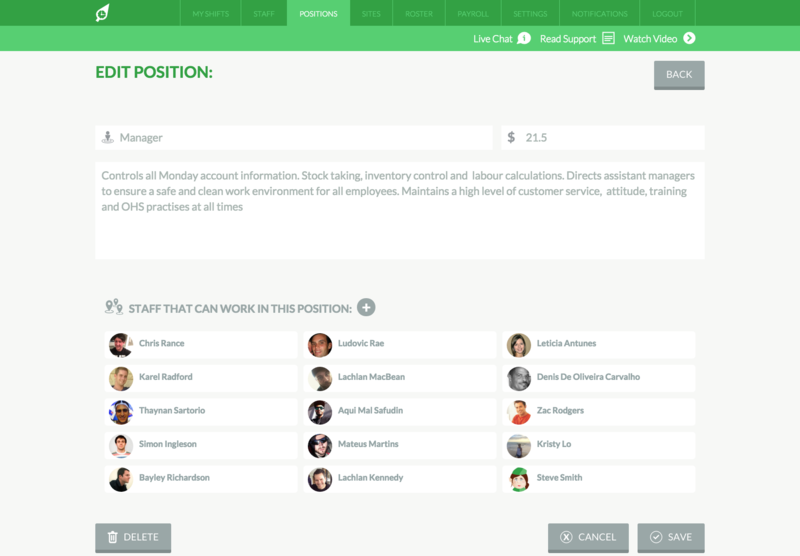 You can add each position in your business into your account and assign employees who are skilled and qualified to work each. In the example below, this business has 15 staff who can work in the position of "Manager".